In Germany, the land of the Autobahn, where speed is regarded as a national right, the best-selling sports car last month wasn't the locally-built Porsche 911. It was the Ford Mustang. The Mustang, built in Flat Rock, Mich., is still a novelty in Europe, where it went on sale for the first time last summer. During the Mustang's most recent redesign for the 2015 model year, Ford executives decided they wanted to make it a global product. Before, it had been sold mainly in the United States. Even so, thanks to the popularity of American television shows and movies overseas, the car is well known in other countries. European customers just hadn't been able to easily buy one before. The Mustang is relatively expensive in Germany compared to the United States. Prices for a four-cylinder turbocharged model there start at about €38,000, or roughly $43,000. Prices for that model in the U.S. start at less than $26,000. Despite the higher price, the GT is, by far, the most popular version of the car in Germany, according to Ford (F). The Mustang has a huge price advantage over what is otherwise the best-selling sports car in Germany, the 911. That starts at €96,000 in Germany, or roughly $110,000, for a base model with no options. "It is still very well priced against the competition," Craig von Essen, a Ford spokesman, said of the Mustang. There are few cars available in Germany that offer the Mustang's performance capabilities at a similar price. 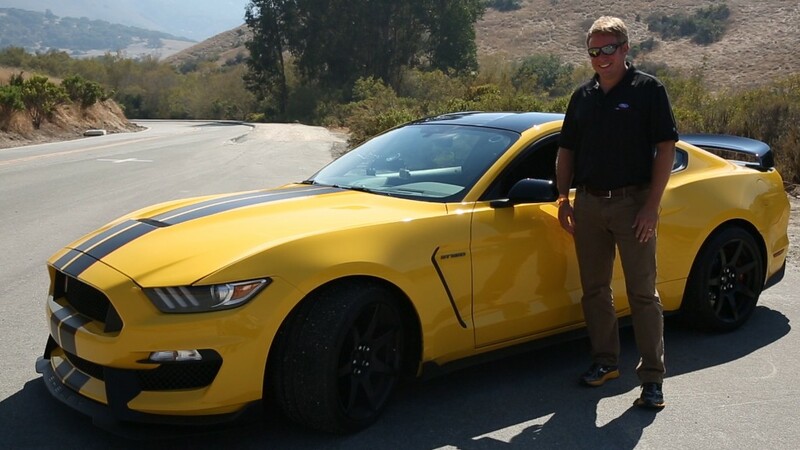 Ford engineers used the 911 and the Audi S5 as "benchmark" cars when working on the new Mustang's handling. Both Porsche and Audi are part of the Volkswagen (VLKAF) Group. Ford sold 780 Mustangs in Germany last month compared to 752 Porsche 911s, according to a government report on auto sales provided by Ford. In the U.S., the Mustang's most direct competitor is the Chevrolet Camaro. In Germany, it isn't even a fair fight. General Motors (GM) doesn't have any Chevrolet dealers in Germany but, in March, 18 Chevrolet Camaros were sold through Cadillac dealers there.